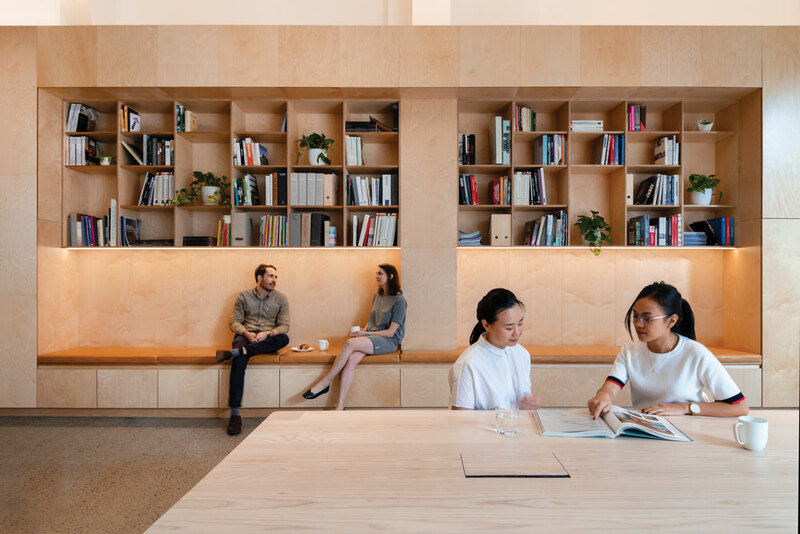 Inspired by contemporary learning environments, our Sydney studio has been designed as a prototype workplace, to encourage and stimulate imagination, creativity and collaboration. Central to the design was the importance of achieving authentic co-creation with our staff, supporting their overall wellbeing and creating an inclusive and welcoming place for our professional community. A series of settings have been created that enable analogue, digital and physical workplace activities to occur and inspire ingenuity and innovation. These settings offer varied acoustic performance combined with tailored functionalities to provide places for collaboration and retreat whilst facilitating a choice of individual working environments. 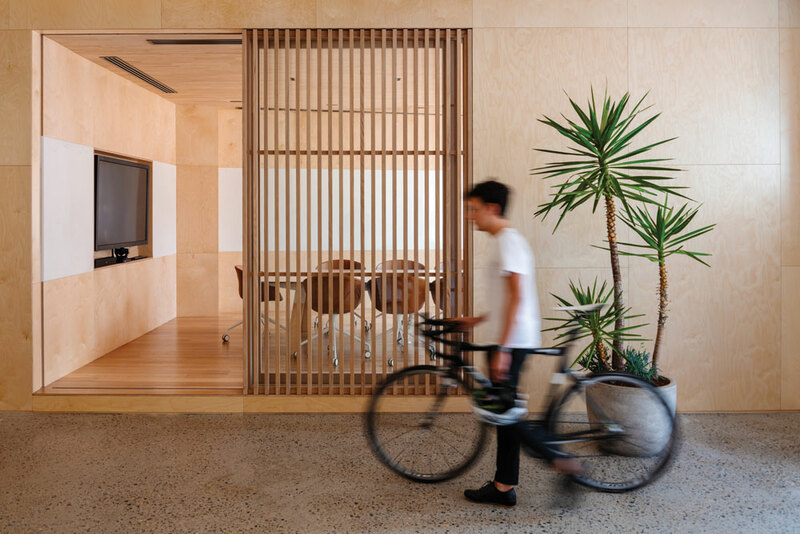 Responding to the desire to create a sense of community, families and school groups are actively encouraged to visit the studio to experience spaces designed to stimulate inquiry and delight. These child-friendly zones welcome families into the workplace and allow us to learn and study how children and students interact and respond to each distinct setting, and back into our wider research and design work. Spaces for play are given equal importance to other work activities to promote participation, activity and movement. 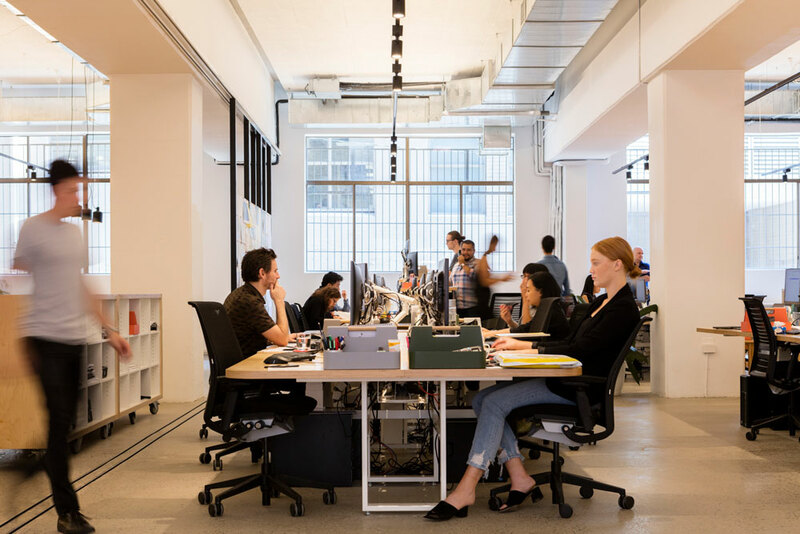 Sit to stand desks are aesthetically integrated into the space whilst a team plant selection program fosters inclusivity, a sense of ownership and wellbeing. 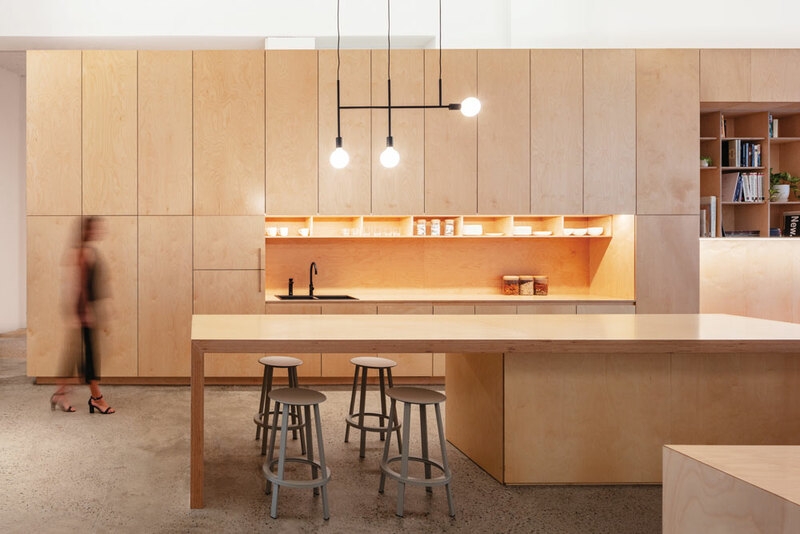 Bespoke volumetric joinery elements define various specialist workplace activities whilst a minimal natural material palette is used throughout consisting of elemental raw timber, offset by black detailed elements and tan leathers. We have committed to formal research on the space that will provide demonstrable qualitative and quantitative feedback of this prototyping exercise. The project will inform both our second phase of refurbishment and our ongoing design work allowing us to continue to evolve, inspire and innovate with our team into the future.